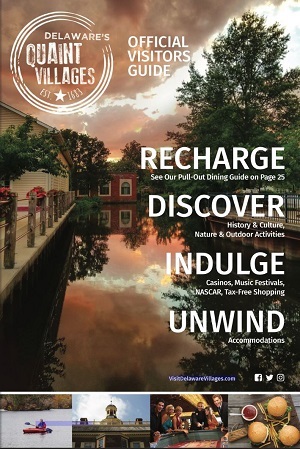 All types of groups and sizes are drawn to Delaware’s Quaint Villages variety of attractions, events, and things to see. With its ease of access and affordability, our community of parks, excursions, museums, restaurants, and casinos offer something for different tastes and budgets. Discover our villages’ free museums and attractions like the Air Mobility Command Museum , Bombay Hook National Wildlife Refuge , the Johnson Victrola Museum, Milford Museum, the First State Heritage Park, and more. Create your own story when your group enjoys a NASCAR experience at the Dover International Speedway or the 100+ bands and musicians performing at the Firefly Musical Festival every June. Or immerse in the local flavor of free, hometown events like Dover Days, the Bowers Beach Buccaneer Bash, Amish Auctions, 18th Century Market Fair, Wyoming Peach Festival, Dover Air Show, and others throughout the year.